6" pop filter with goose neck. Steel clamp easily attaches to microphone stand; gooseneck allows proper placement of 6 in. STOP-IT in front of microphones. 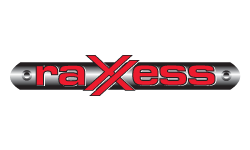 Same Day Music is an authorized dealer of Raxxess products. Available until 11 PM (EST) today. Mention special code 20W-ZC3W when you call.